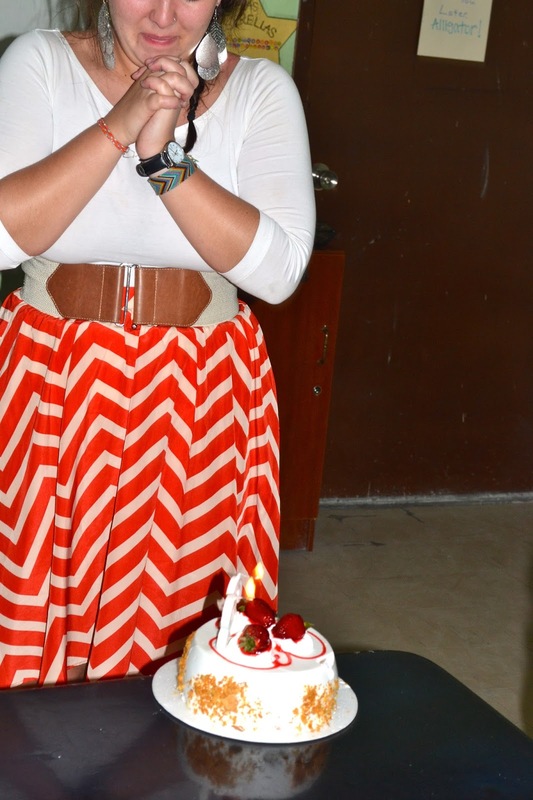 Liv & Let Live : and the "birthday" beat goes on. 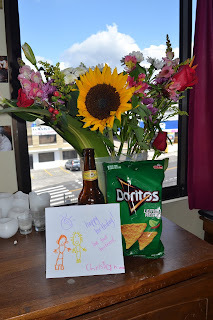 My birthday celebrations at the beginning of May were just the best. I cannot even begin to describe to you the love I felt. Everyone - my volunteer family & all the kids - were just incredible. I am truly blessed. I had a party in Special Ed. with a delicious cake. I was "kidnapped" and sent on a scavenger hunt by some pretty cool ladies. There was a not-so-surprise surprise party in Girls Program where I got my face smashed into not one, but TWO cakes. 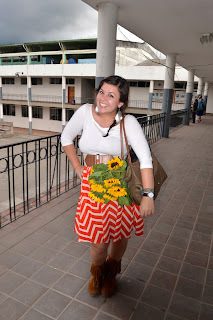 And to top it off, the class that was once the bane of my existence [5PM English class....which is now my favorite. class. ever.] had a party for me & even decorated the classroom. All in all, May 10th, 2013 was the most. 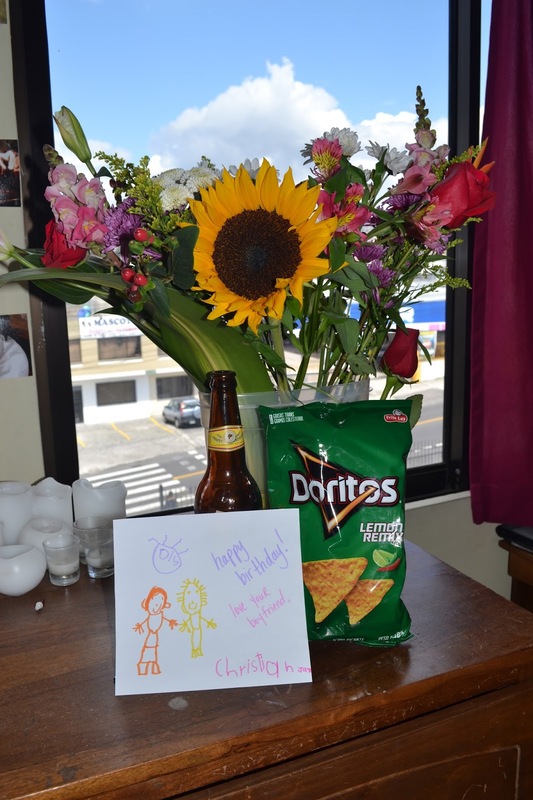 Favorite snacky, a beer, a love note from one of my favorites and the most beautiful of bouquets! Lovely sunflowers that Irene's English class gave to me! What a wonderful world I live in.